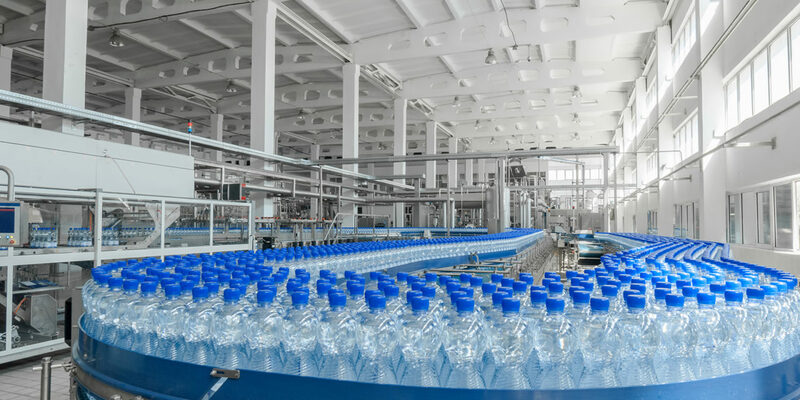 The equipment needed for a water bottling operation varies, from blow molding machines to filling and capping equipment. For the operation to function at its best, it needs to include equipment that allows it to work at peak efficiency throughout the manufacturing process. Whether you are filling 5-gallon jugs or small sample bottles, there are many varieties of water bottling equipment that can be used to make any operation a success. For those water bottling companies that want complete control over their bottling process, blow mold machines can be set up so everything from start to finish can be managed in-house. Many of today’s machines are single-cavity, fully automatic machines that offer a number of advantages. First is the number of bottles that can be produced. Most machines can produce up to 1,000 2-liter bottles per hour, and can operate 24/7 while needing only one operator per shift. Bottle sizes can range from 30ml to 5 gallons. Upgrades such as hydraulic pumps and improved swing arms will minimize maintenance costs and production downtime. Most of these machines are fully automatic, and can do everything from feeding preforms to delivering bottles to the production line. There are a number of filling machines available that specialize in 5-gallon bottles. Many of today’s machines are compact and automatic, needing less floor space and running with incredible efficiency. Most automatic filling systems combine washing, filling, sanitizing and capping into one machine, and can produce from 150 to 3000 bottles per hour. Like the blow mold equipment, they only require one operator per shift to oversee progress. They also offer no-contact gravity filling systems that fill bottles in stages to ensure accuracy. Automatic capping is also included in this equipment, complete with hopper and sorter. There are many different machines available to handle bottle capping for water bottling operations. For fully automatic systems, cap sorters, chutes, and hoppers will have to be worked into the system to complete the outfit, reducing manual labor to the lowest degree. Semi-automatic systems will require operators to place caps on the containers by hand and the capping machine will secure it. Height allowances vary by the type of capper machine used and its accompanying parts (for example, vertical cap sorters add significant height to the apparatus. These machines also feature built-in controls to automatically stop production if a problem occurs, thereby limiting the amount of bottle damage and lost product. For a water bottling operation to function at its best, choosing the right water bottling equipment is crucial. As technology continues to make improvements to the manufacturing process, the equipment used in it will also dramatically improve. Companies that make efficiency and production standards their top priority will see the best results, and the correct bottling equipment can help them reach those goals.